The study was led by University of Plymouth Ph.D. student Demetris Kletou and Research Assistant Periklis Kleitou, who also both work at MER in Cyprus. It also involved Professor of Marine Biology Jason Hall-Spencer and Professor of Marine Ecology Martin Attrill. "Seagrass structural descriptors are highly variable even at small spatial scales within the same meadow. The use of fixed plot methods allows reliable and effective microscale monitoring of seagrass meadows from the same positions using standardised methodologies, has high statistical power, and their use should be encouraged and widely adopted in generic ecosystem monitoring." "It is vital we understand and protect such an iconic and important marine plant, as it may be critical to the survival of the species throughout the Mediterranean. This research shows that sensible management of aquaculture practices can help us farm food sustainably, and boost the blue economy, at the same time as securing healthy coastal ecosystems. 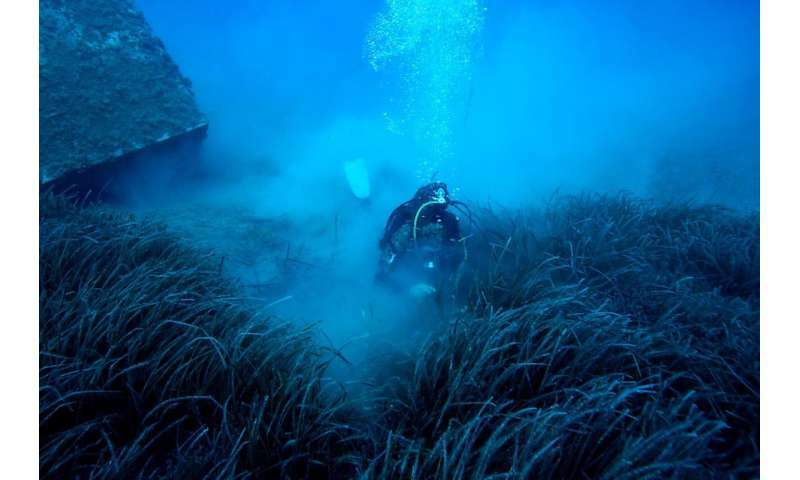 It also helps us understand the ecology of seagrass at its upper thermal limits, as it has always been something of a mystery as to how Posidonia is doing so well in Cyprus's high summer temperatures." The full study, "Seagrass recovery after fish farm relocation in the eastern Mediterranean," by Kletou et al, is published in Marine Environmental Research.